Car Seats for Children Foam Padding – Foam Factory, Inc. The safety and comfort of your little one is of the utmost importance for any parent. When it comes to riding in the car day in and day out, many parents look for ways to make their baby as comfortable as possible. While car seats are made with an emphasis on safety as the top priority, there are some ways to use foam to add a bit more comfort. Let’s take a closer look at baby car seat foam pads and more to help you figure out the best solution. Before we look at ways to add foam to a car seat, we first need to have a better understanding of the evolution of the car seat. The relationship between foam and car seats is a logical one dating back to the 1960s. While the first car seats to be widely used first made their appearance in the 1940s, the focus was on containing the child in one spot of the car rather than on practical matters of safety in case of an accident. In fact, prior to the year 1962, children’s seats for riding in the car did not even incorporate the seat belt or straps at all for safety reasons. When Leonard Rivkin introduced a seat which used a metal strap the same year Briton Jean Ames released a Y-shaped option incorporating the seat belt, it set off a race to create the new car seat of the future to ensure the safety of young passengers. The first car seat for children to use foam would be introduced by Ford Motor Company in 1968 and featured a foam cushion to protect children in the event of an impact. A few years later, the notion of foam for safety purposes was the new norm and General Motors would release a car seat for infants and a car seat for toddlers using foams such as polypropylene and urethane foam. In the 1970s, safety standards would be put in place regarding child car seats to ensure the main objective of safety was never compromised. These standards have only become more rigorous with every passing decade as new information regarding materials and safety measures are explored. In today’s world, a car seat must pass rigorous testing in order to be deemed safe and legal. The evolution of the baby car seat in terms of safety regulations is important to note. While many people think adding baby car seat foam pads is acceptable because it aids in the comfort of their child, it can be detrimental in terms of safety. 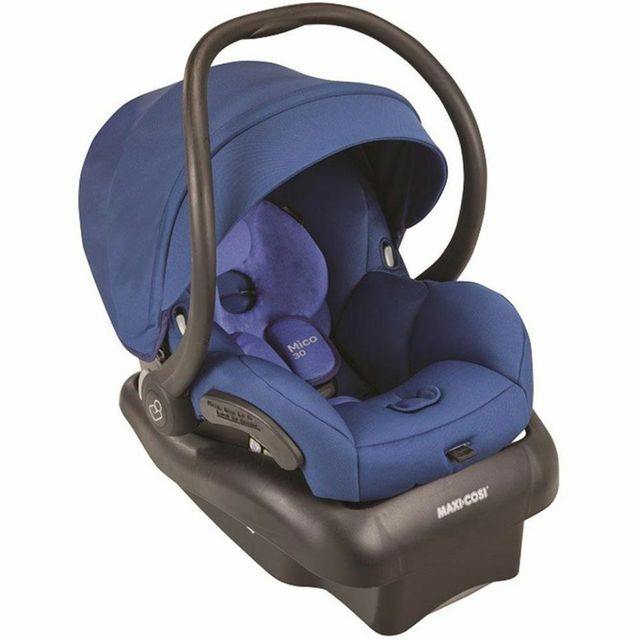 Many parents attempt to add to the comfort of their child’s seat by adding a pillow or foam pad to the seat area, however this can lead to major safety concerns such as the child slipping under the seat belt, the straps not being placed correctly to prevent internal injuries, and even the child being ejected from the seat in the event of an accident on the road. Another issue is when a parent attempts to repair a child’s car seat with foam. If there is a tear or rip in the seat where the foam has started to come out, it is far safer for your child if you simply buy a new seat rather than repair it yourself. While you want to be careful about how you utilize foam in a car seat to ensure you maintain safety, this isn’t to say there aren’t a few ways to add foam items without issue. Here are the most common ways to add a little extra comfort using foam without changing the overall safety elements of the seat. Armrests can be added to the sides to add a bit of extra padding for the arms of the baby. This is an easy way to up the comfort without impacting safety. A great suggestion for this area is memory foam which contours and offers an extra soft surface for the comfort of your little one. Another common way to add foam to a car seat is with strap covers. With this area, make sure the strap covers do not interfere with the fit of the strap. You can also add seat belt covers, but again, make sure the cover does not interfere with the seat belt’s job of keeping your child safe and secure. For most infants, the matter of head support in the car seat is crucial. The use of foam head supports placed on the sides of the baby’s head can add stability and comfort for added peace of mind. It is important to note that you should only add foam head supports which have been crash-tested with your car seat manufacturer for the best in safety measures.